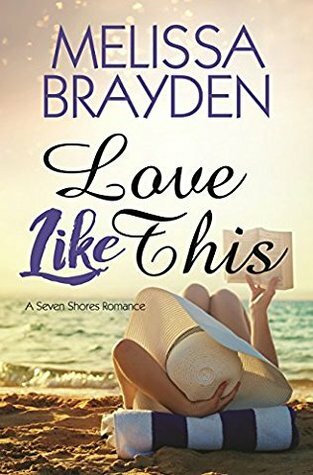 In Love Like This series favorite, Hadley finally has her shot at true love. The fourth and final book in the Seven Shores series has been one I have anxiously awaited. My overall thoughts are pretty simple, I liked it, I didn’t love it. Hadley is one of those characters who just draw you in and you cannot help love her. She’s super nice, genuine and has a uniqueness that just jumps of the page. I truly believe that her character has made this series have that little something extra that sets it apart. She’s just fun! Hadley is introduced to an old high school friend of Elle’s, Spencer Adair. Spencer is an up and coming fashion designer who is seeing a lot of success selling her design’s through social media. With the help of Hadley and a few tweaks to her designs, Spencer has just landed a huge account selling her pieces on Rodeo Drive. Hadley and Spencer have an instant connection. They notice each other right from the start and are on an unexpected first date by their second meeting. This relationship evolves easily. I think that’s maybe why it didn’t pull me in like all the other Brayden books. It’s just so easy there isn’t any angst, drama, denial, nope nothing but an easy transition that is sweet and nice, but kinda lackluster as well. To me, Spencer never really evolves into a spectacular character. She is great at what she does, fashion-wise. I felt as the story progressed Spencer never really pulled me in. She was always kind of flat and just didn’t have that magnetic quality that other love interests in this series had. I liked her but I didn’t love her. This is the lowest I have ever rated a Brayden. I have always rated them a five with the exception of two before this one. This may just me being off this time. I want to say that this book is absolutely worth your time. It is good and I imagine that to a lot of folks it will be a great book. What holds me back from rating it higher is I just go no feels from it. It was missing that spark that I have come to expect from this series and Melissa Brayden. Let me know what you thought of this one!